I’m not sure how my UPS driver is feeling these days. I discovered this awesome bird seed on Amazon called Wagner’s Greatest Variety, and since I started ordering it, the number of birds in my yard has steadily grown in number and species. 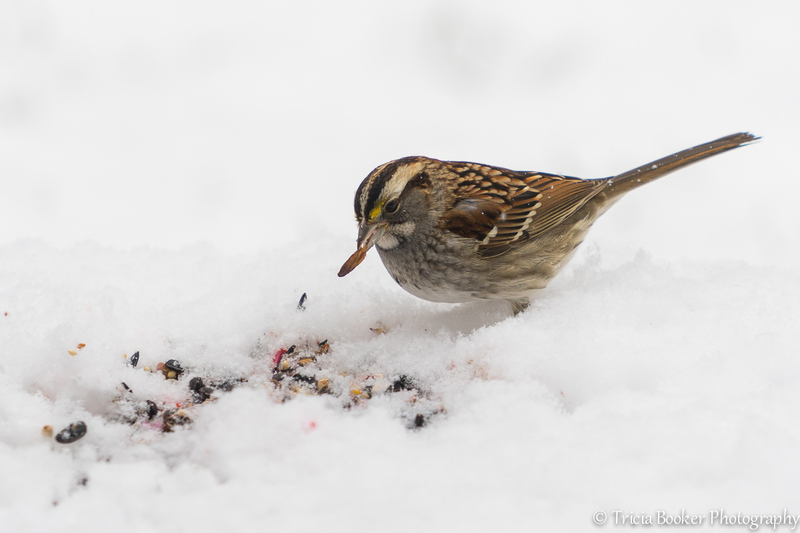 Yesterday, I counted more than 20 White-Throated Sparrows in the yard, along with a dozen Dark-Eyed Juncos and the usual collection of Tufted Titmouse, Cardinals, Goldfinches, Carolina Wrens, Chickadees, three woodpecker species, and the now-resident Yellow-Bellied Sapsucker. I’m on my last bag of bird seed, so it’s time to place another order. Each time I do, I feel sort of bad because a huge 32-pound box arrives on my doorstep a few days later. I know it’s not easy to maneuver that box from the big brown truck to our garage, where he always so kindly places it, but I’m thankful for such great service. WAGENERS needs to see this!!! Best advertising ever!! !